Yesterday Helen and I went over to bike tyre services in Sale to get a new set of tyres each for our upcoming tour. As usual we opted for Michelin Pilot Road 4 tyres as we are happy with their wear, also their grip in the dry and especially the wet. 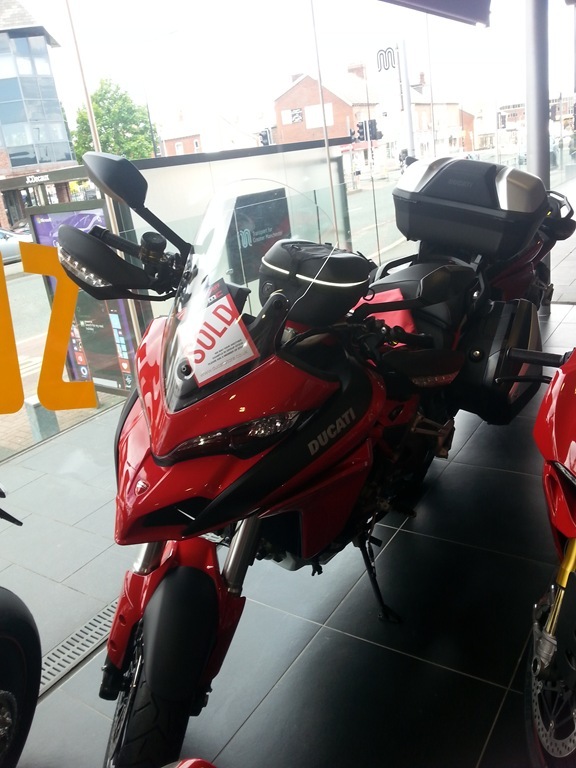 While we waited for the tyres to go on we nipped over to Ducati Manchester to have a look at the new Multistrada. To Helen’s surprise the new bike has a more contoured seat and on its lowest setting Helen can get her feet down almost flat. So the Multistrada has now become a potential next bike for her. After we had the tyres fitted we headed over to Williams BMW in Trafford as I wanted a mechanic to have a look at a photo of my throttle cable. After a discussion I am pretty much resigned to the fact that I will need a new set of throttle bodies to fix my low revs issue. Apparently it is a different issue to the K1200 and is actually caused by the butterflies moving and sticking on the inside of the throttle inlets. Also while we where there Helen had a look at the S1000XR and the R1200RS. She actually preferred the look and feel of the R1200RS. We have decided once we get back off tour to take both of them out so she can have a test of each of them. Also BMW being BMW tried to sell me a new K1300S Motorsport rather than me having mine fixed. It is a great looking bike and I am certainly interested but will wait till we get back off tour. The question then will be to get the valve check done on my bike our to get a new one. After a quick coffee and biscuits at Williams BMW we headed to the Dale to scrub in our new rubber. We just went for a quick run to Hawes and back via our usual route of Sabden, Sawley, Wigglesworth, Settle and Ribblehead Viaduct. To say it was a bit windy would be an understatement, I can just imagine how bad it would have been on the mountain course and think it was a very wise idea to cancel any TT action on Saturday. 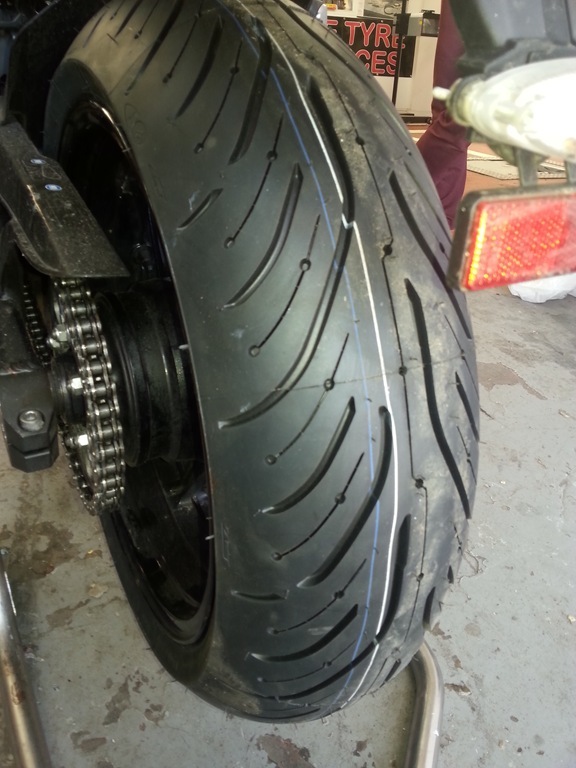 The new tyres were as sure footed as ever and we even managed to get them to near the edges on our first real heat cycle. After getting home I went on Ebay and have managed to source a used set of throttle bodies for under £100 off a 2010 10,000 mile K1300S, much better than the £700 for a new set. I am not going to fit them before we go in case I encounter any issues while fitting them. Especially as I will have to undo near on 15 of those locking hose clips that BMW like to use.